STEP 3: Track content’s insights. This is perceived as the universal 3 step process for your company’s content strategy. However, it is missing a key fourth step: Enable Content Experience. Content performance can be inhibited by poor content experience. In order for your content to reach its full potential, instilling a strong content experience is critical. Content experience is the environment in which your content lives in. Evaluating content experience is understanding all facets of how your content is being perceived; because the digital environment that your content lives in has a significant impact on how your content is consumed. Luckily, we are living in a digital age that allows content marketers to become creative when developing their content experiences. An ideal environment will instill accessibility, interactivity, discoverability; and therefore result in lead generation. Ensuring your content is responsive is ensuring that the design is compatible for all screen sizes. Today’s online environment is heavily reliant on mobile viewing. 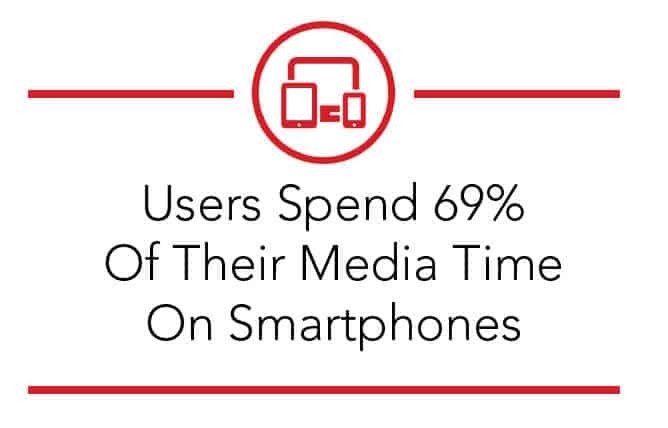 Users spend 69% of their media time on smartphones. This means that optimization is critical in order to avoid disrupting content experience. Keep in mind, people viewing from a mobile device are in a different environment compared to people viewing from a desktop computer. Usually using a mobile device implies that the user is on-the-go or trying to access in-the-moment information. This knowledge should inspire how your content is consumed through mobile devices. Rethink the structure of your content for mobile, and break it up into easily skimmable chunks. Whether it is a blog, video, photo, or distribution channel, ensure that your content can be easily read, watched, viewed, and shared across all devices. Having easily skimmable content is not only important on mobile devices, but also prevalent across all of your platforms. It is important for your content to be clear and distinct. A person decides whether or not they like somebody within the first 7 seconds of meeting them. 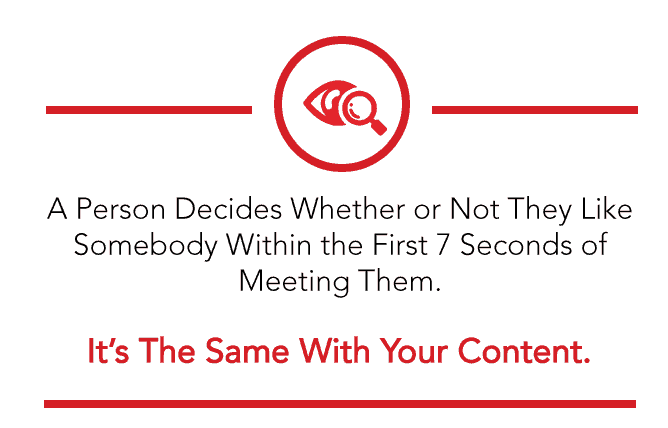 This is the same for when people encounter content, it only takes moments for your viewer to make a first impression on your content. There are a number of things that you can do to improve your users instant experience with your content. The primary step is to represent your content through a clear message and a distinct look. Design and copy play a large role in this part of content experience. For videos, ensure that it includes a descriptive title, caption, and appropriate thumbnail. For blog posts, include a descriptive title, and ensure that the copy can be skimmed and includes different types of media. For website content, ensure that brand colours and content are consistent and easily navigable. Lead generation is the outcome of a well thought out content experience. However, this is only possible if there are call to actions embedded within your content. Utilising call to actions for lead generation is nothing new in the content marketing world. However, include a call to action that refuses to be ignored by creating an interactive experience. Having a call to action that helps your viewer towards the next step of their buying journey will only create a more robust experience. Examples of this can be inviting the viewer to fill out a form by introducing gated content. Gated content is content that the user can download for free after filling out a form. A form fill can act as a way to discover the needs of the viewer, and gated content can act as a method of incentivising your viewer to engage with your company. You can be as creative as you want when it comes to downloadable content. Some examples to inspire you can include: E-books, Templates, Guidelines, Checklists, infographics, and even podcasts. It is important to share a teaser of your gated content as part of your call to action in order to show the viewer he value of the content. Organize your content strategically in order to make it easy to find for your viewer. There are a number of ways that you can achieve this on your business’s main content hub, your website. Consider your audience’s motivations for visiting your content. At its core, when people search for content, they are really searching for solutions; and your content’s environment should make these solutions easily discoverable. Have your content easily visible throughout your website. Content experience plays a pivotal role during each phase of your content strategy. With online tools, content marketers are able to become creative with how they create their online environment. However, there are a number of factors to keep in mind during content creation, distribution, and for tracking insights. 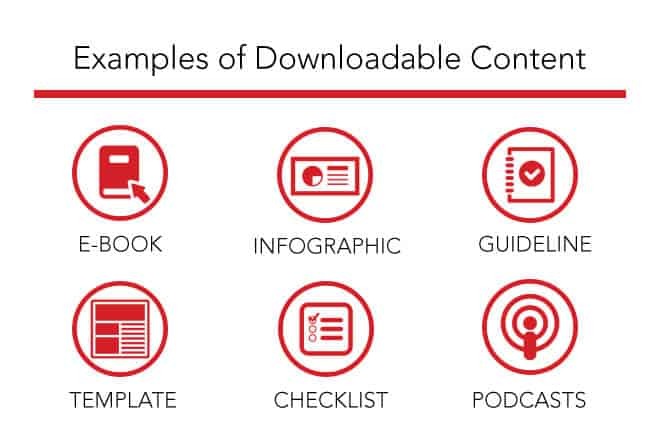 Below, we have included a checklist that will ensure that you have all of your bases covered regarding your content experience. Download it below! Want to learn more about content strategy? Check out these articles!